Why Work at Vista Center for Behavior Analysis? 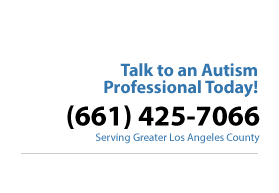 Are you dedicated to helping improve the lives of individuals and families who are dealing with autism and other disabilities? Does it inspire you to see people in need rise above and overcome their challenges? If so, then Vista may be the place for you! Vista is consistently ranked among the top ABA providers by Frank D. Lanterman Regional Center (FDLRC). Beginning in 2012 Frank D. Lanterman Regional Center (FDLRC) conducted Quality Improvement & Assurance (QIA) evaluations of vendor agencies that provide ABA services to clients of the regional center. Vista ranked among the top three providers for 2012, 2013 and 2014. We were not evaluated in 2015 and we will not be evaluated in 2016, due to our exceptional evaluation in 2014. Vista is a vibrant and growing company that provides a real opportunity for professionals seeking a purposeful career in which successes are seen in the growth, development, and accomplishment of the people we serve. Vista is a leader in the delivery of services to individuals with autism and other developmental disabilities. Vista has Vision. Our company’s leadership has made the investment to make sure our clinicians at all levels, Behavior Interventionists, Case Managers and Program Managers, are the very best in the field. Because Vista values continuous training and support, you will be given every opportunity for tremendous professional growth. Vista delivers personalized programming.Our services include in-home and community-based treatment that utilizes Applied Behavior Analysis (ABA) procedures and parent and other caregiver training. Vista provides services to children, adolescents and adults, who are diagnosed with Autism Spectrum Disorder and other developmental disorders. As a well-established, values-oriented agency, Vista has been successfully serving the Greater Los Angeles area since 2001. Our values are integrated into all aspects of our operations, including hiring, training, communication, service delivery, and collaboration with other professionals. Vista is an agency that cares about improving our clients’ quality of life and values our employees, and the talent, passion, experience, and skills they bring to this difficult but rewarding task. Vista’s Misson Statement: Vista Center for Behavior Analysis is dedicated to teaching individuals functional skills that empower them to lead independent and fulfilling lives and integrate into their communities. Through collaboration with other professionals and these individuals’ families, Vista delivers high quality, comprehensive, and individualized services, based on the principles and research derived from Applied Behavior Analysis (ABA). Vista adheres to a strict code of ethics and integrity and treats everyone with care and kindness. We invite you to contact us.